I was in San Francisco last week for a conference, and while there I found a number of interesting signs and advertisements. I'll share them with you in the coming days. 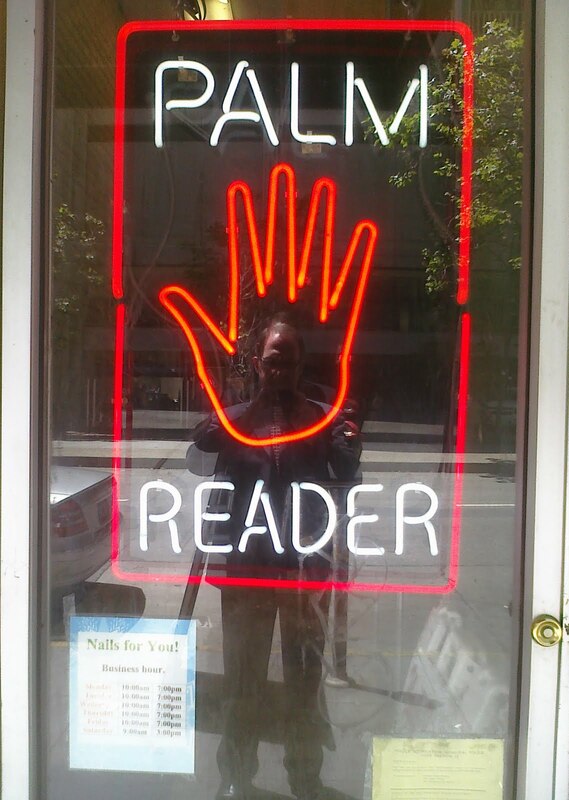 Here's the door of a palm reading business that was right across the street from the conference hotel. Notice the sign in the bottom left: "Nails for you!" It seems this palm reader provides full service, taking care of both sides of your hand. Much thanks to my friend, John Bird, who was also attending the conference. He was the one who alerted me to this little bit of San Francisco wackiness.